The Adventures Of The Sea Hound. August 16, 1944. Blue Network. land from the evil Gleason. The system cue has been deleted. Fran Striker (writer). 14:31. Audio condition: Excellent. Complete as above. 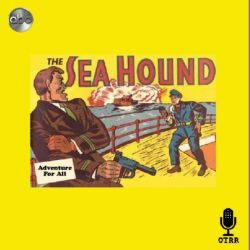 The Adventures Of The Sea Hound. October 5, 1944. Blue Network. is kidnapped. "The man in the motorboat" is one of the "Platinum Pirates." The system cue has been deleted. Fran Striker (writer), Bill Marshall (director). 14:30. Audio condition: Excellent. Complete as above. 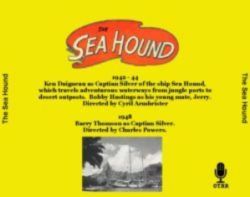 The Adventures Of The Sea Hound. October 12, 1944. Blue Network. Bill Marshall (director). 14:27. Audio condition: Excellent. Complete as above.